I only had 90 minutes to see the entire museum, which is not enough time. You can stay as long as you want once you’re inside, but I arrived at the museum at 4:00 and it closed at 5:30. I did make a point to go through the entire thing, even if a few floors I just quickly walked through. 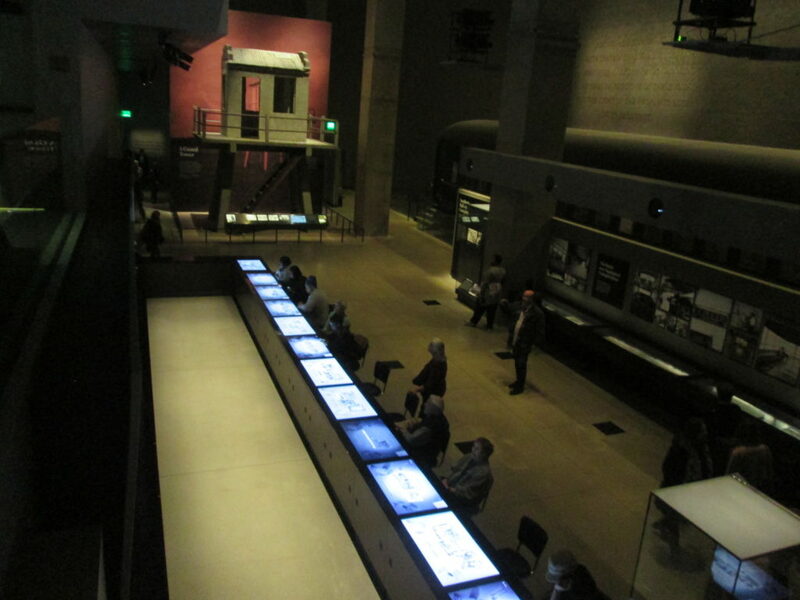 The layout downstairs is a little confusing, but it’s best to start out at the history galleries (underground). Take the elevator or escalator to the concourse level, and then find the giant elevator to descend to C3, the bottom floor. As you go down, you’ll see dates on the walls, as though you are going back in time. There are three history levels, and a lot to taken in. The first level, C3, focuses on slavery and freedom (1400-1877) trade. There was a 30% mortality rate for slaves in the sugar industry and 7 year life expectancy for enslaved workers on early sugar plantations. In 1787, 90% of the world’s sugar was produced by slaves. In early colonial Chesapeake Bay society, racial integration was common (socially, romantic relationships and work). Most Africans arrived in the US via the areas: the Chesapeake, the Carolinas and Georgia. During the Revolutionary War, the British offered enslaved men freedom if they served. The Continental Army led by George Washington followed in 1776, as they too needed soldiers (even though they were afraid to give them guns). In 1775 Washington wrote a letter to Colonel Henry Lee stating that the war’s success depended on who armed the Africans the fastest. At the time, about 20% of the colonial population was enslaved. 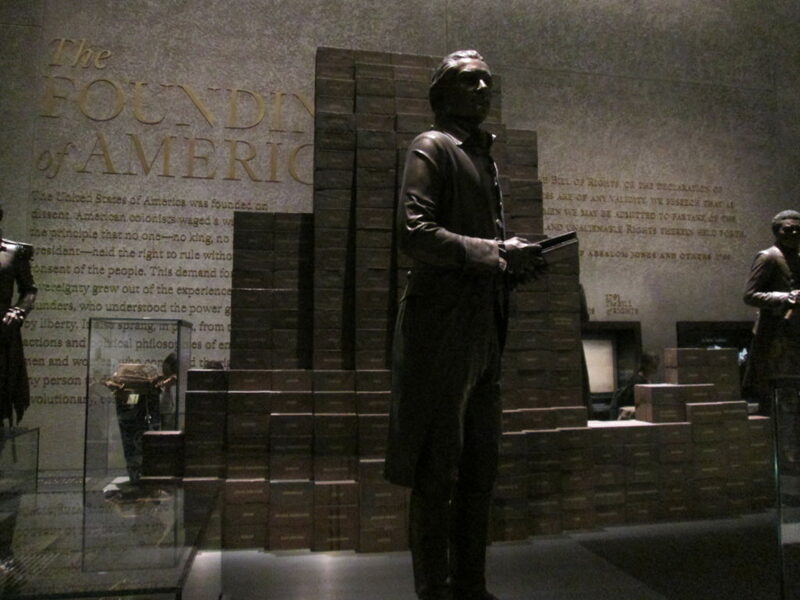 Thomas Jefferson had 609 slaves in his lifetime (you can see bricks representing them in a sculptural exhibit). He had at least 6 children with one of his slaves, Sally Hemings (you can read about the scholarly efforts taken to determine whether Hemings’ children are actually Jefferson’s at the Monticello website). Given their mother’s enslaved status, the children were slaves as well, though the Monticello site says that Jefferson gave the kids their freedom later (but Sally was not freed). 12 of the first 18 presidents owned slaves. While this came to light during Michelle Obama’s speech at the Democratic National Convention in 2016, slaves helped build the White House, and also mined sandstone for and helped build the US Capitol and the Smithsonian castle. Not surprisingly, the next section was on the abolition movement. Using marketing strategies, abolitionists used commercial goods to get out their message, including make-up packaging and antislavery primers for children (“A is for Abolitionist”). Abraham Lincoln wanted to free the slaves, but then send them out of the country because he didn’t believe they were fit for citizenship. Frederick Douglass (that man who Trump said “is an example of someone who’s done an amazing job and is getting recognized more and more“) helped change Lincoln’s mind. Toward the end of Lincoln’s life, Lincoln promoted black voting rights. During the post-Civil War reconstructionist period, while African Americans were ready for and wanted full citizenship, they bumped up against segregation. 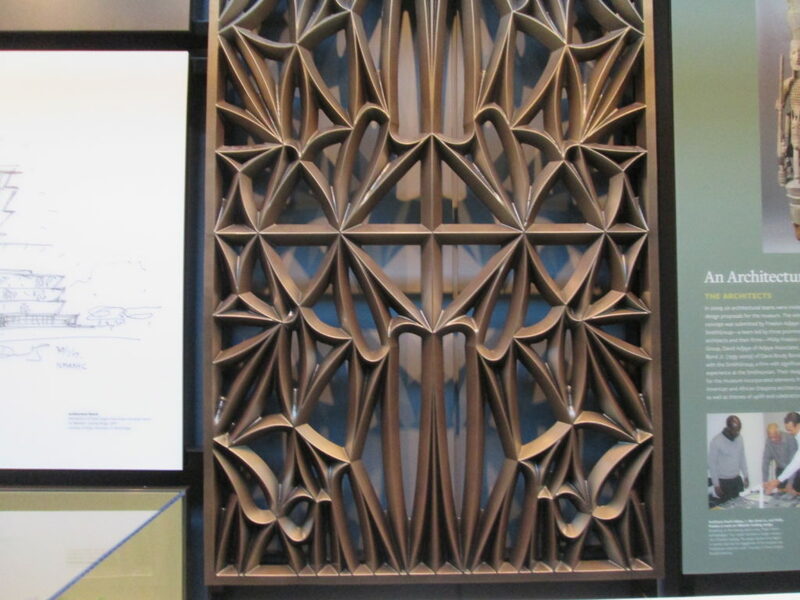 This museum floor showed what African Americans did to create their own society and institutions to improve their communities. You’ll see signs from all black towns and learn about the black press, black educational institutions and some interesting population statistics. You’ll see the growth of African American literacy rates through these years. This section also highlights some of the Jim Crow laws which separated African Americans and whites in all areas of society, as well as historic lawsuits on racial themes. 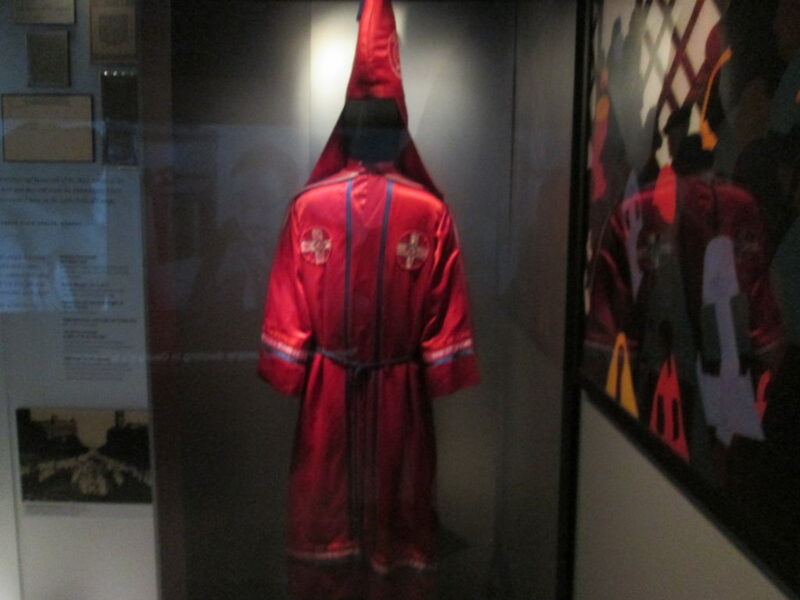 Here you can see a KKK robe, walk through a segregated train car (or look through the windows if it’s not open to the public, as was the case when I visited) and have your own “sit in” at a lunch counter. I got a little teary at the Obama display, showing one of Michelle’s dresses and lots of Obama news clippings. 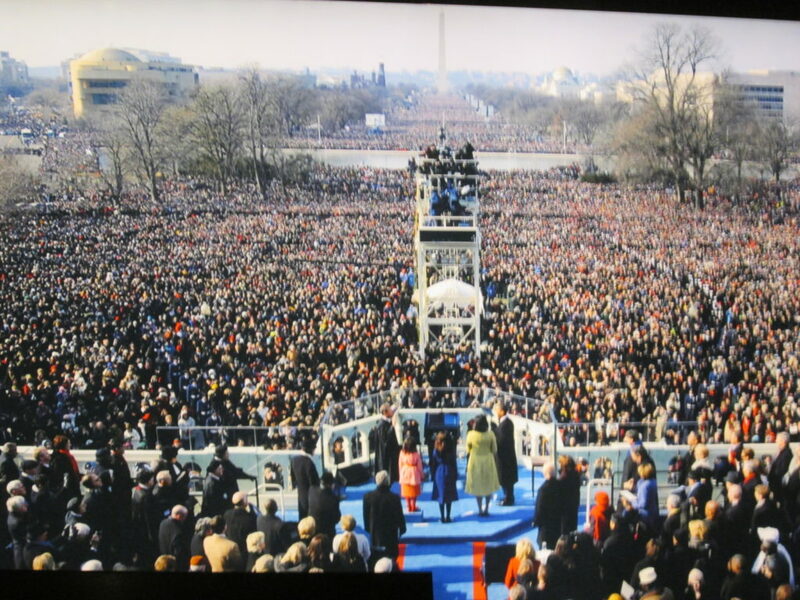 There’s also a large photo of the inauguration (and yes, bigger crowds than Trump’s, though there’s no comparison photos here). 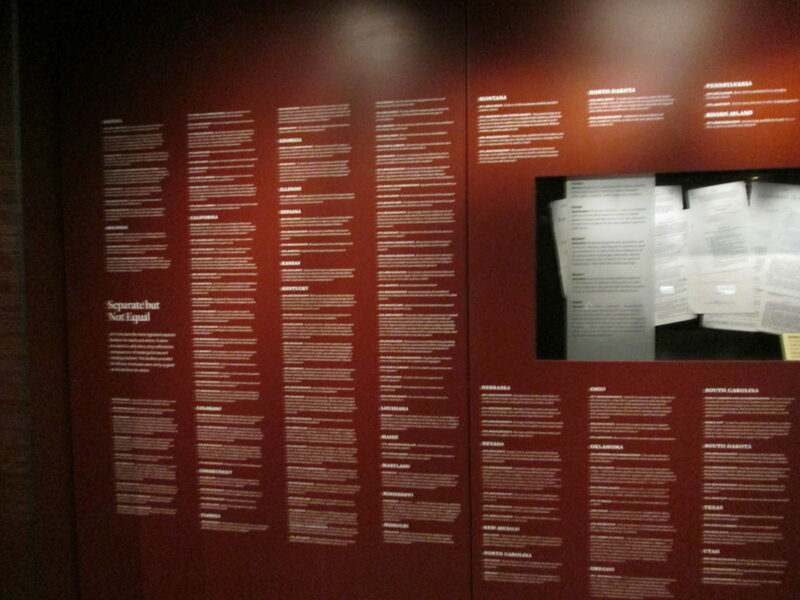 This section shows events from 1968 as well as talking about the continuing march toward equality. 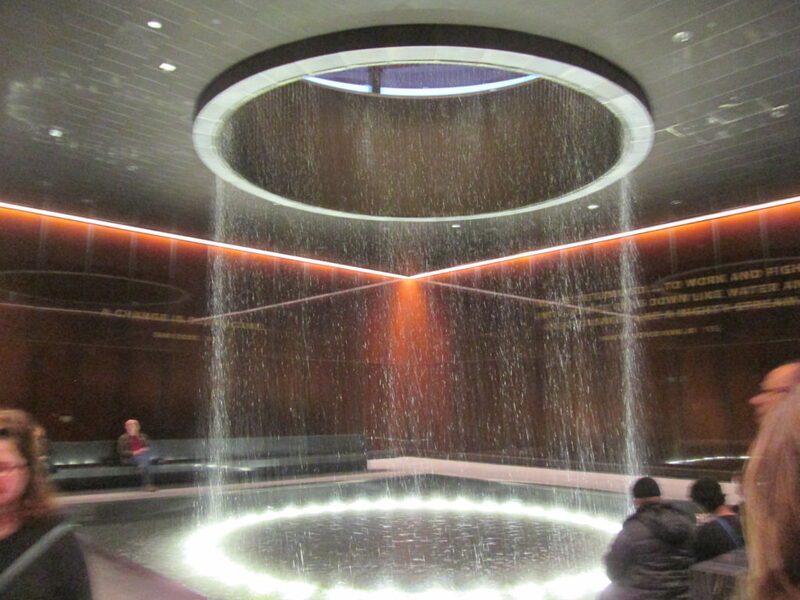 One thing that really struck me in these three floors was that there’s never been a time in American history where African Americans have not struggled for their freedoms and their rights. They move forward a few feet and then are shoved backwards again by parts of society. I know that’s not news, but it’s just so clear when going through the museum. When you reach the end of this floor, there’s a Contemplative Court, with a large waterfall (you can walk by the top of it outside the building). It’s a lovely space, but I had little time, so I came, took a photo, and kept moving. Head upstairs, past the lobby level (Heritage Hall) and up to the three floors above ground. These are the ones I had to rush through. 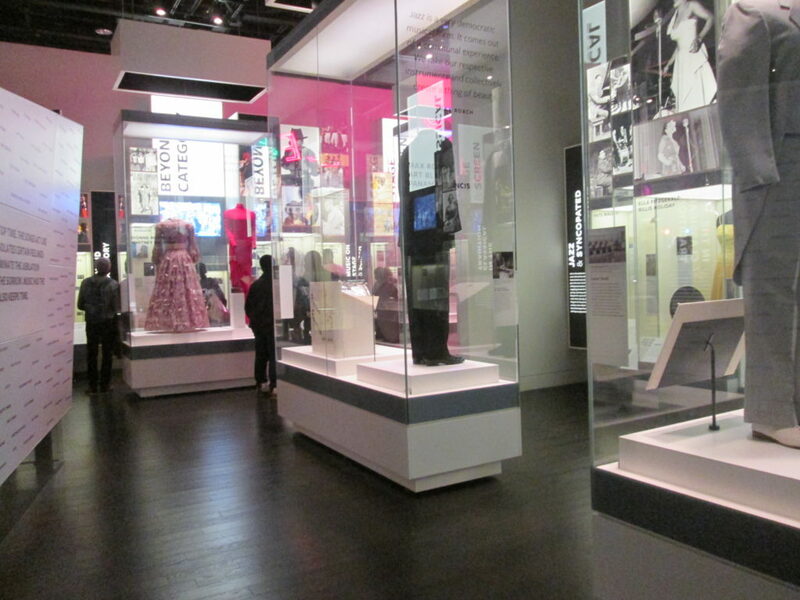 The L4 Culture Galleries focus on performing arts, music and visual arts in Africa American and American life. The L3 Community Galleries focuses on African American military experience, the role of African Americans in sports, and the power of place. The L2 gallery has family history exploration, a library and some additional galleries (it was closed when I got there – it was time to leave). 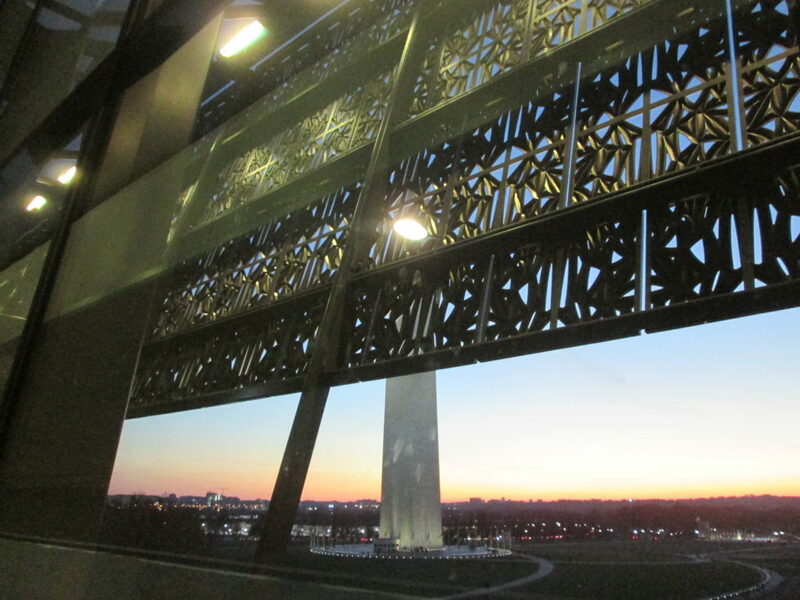 The upstairs also has some lovely views of the metal building exterior and iconic Washington monuments, including the actual Washington Monument, the Lincoln Memorial and the White House. 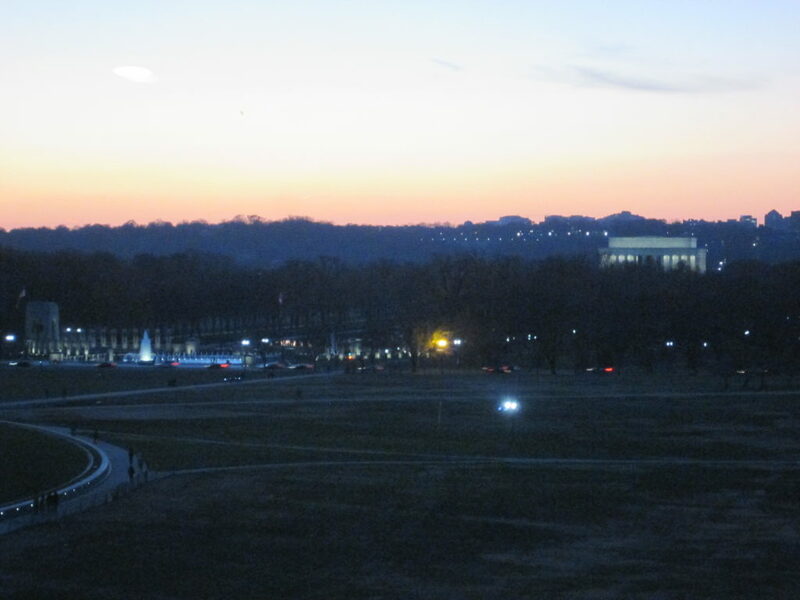 If you’re there at sunset, as I was, it’s even better. Taking the kids: To get the most out of the museum, especially the history floors, you’ll probably want to read a lot of the signs. That’s not going to be so interesting to kids. Try to find some of the facts there that will stick with them, like some of the ones mentioned above. 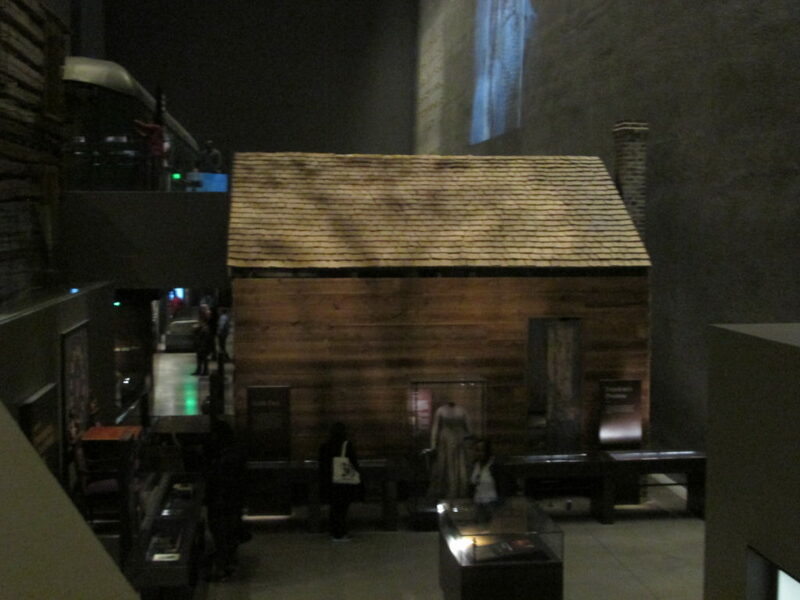 There are some more experiential components, like the lunch counter, the segregated train car and the log houses (you can go inside), that will give the kids a better visual understanding of the times. The museum has a number of touch screen boards with more information and photos the kids may like. Consider downloading the museum app, as it has additional features the kids may like and learn from, to enhance their experience. Dining: The concourse level has the Sweet Home Café from consulting chef (aka culinary ambassador) Carla Hall. The menu includes specialties from “the Creole Coast,” “the Northern States,” “the Agricultural South” and “the Western Range.” Choose from braised short ribs, BBQ beef sandwiches, buttermilk fried chicken, collards, mac and cheese, gumbo with duck, crawfish and Andouille sausage, a Louisiana catfish po-boy, a Caribbean style oxtail pepper pot, and many more. 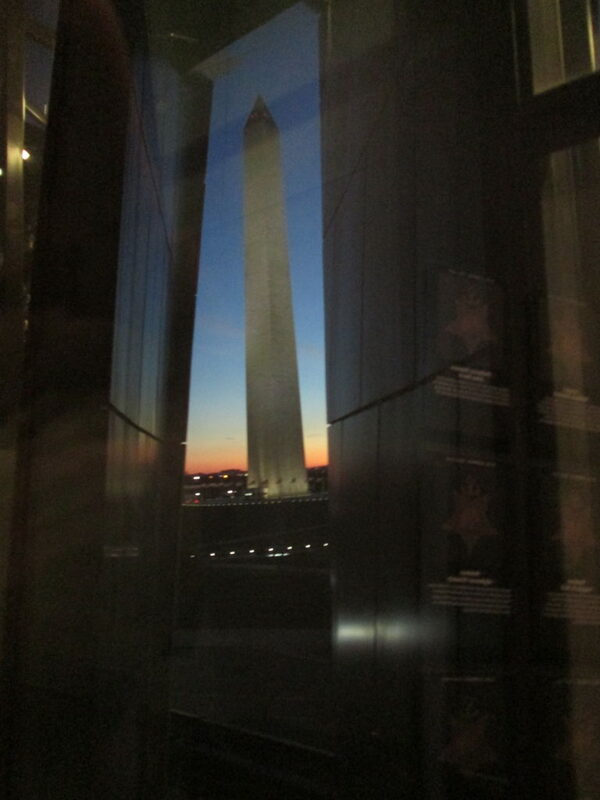 Read more about the creation of the restaurant in the Washington Post. Main dishes ranged from around $13-16. 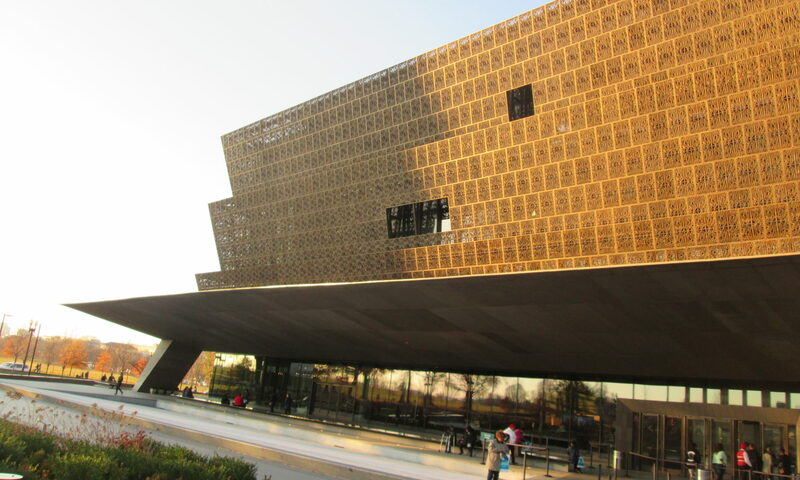 Tickets: You really do have to plan ahead or be flexible to get tickets to the Museum of African American History and Culture. Tickets are free, but are required and have timed entry (the Museum of the Bible took a lesson on ticketing from this museum). They offer tickets on the first Wednesday of each month starting at 9 a.m. and they go quickly. The January offering will be for April tickets! If you miss that, you can go online starting at 6:30 a.m. the day you want tickets, for same-day tickets. If you miss that, the museum offers a limited number of walk-up tickets starting at 1 p.m. on weekdays (no walk-up availability on weekends). Disclosure: I got a media ticket with no timed entry. Additional details: the museum has a locker area with small lockers, not big enough for luggage. 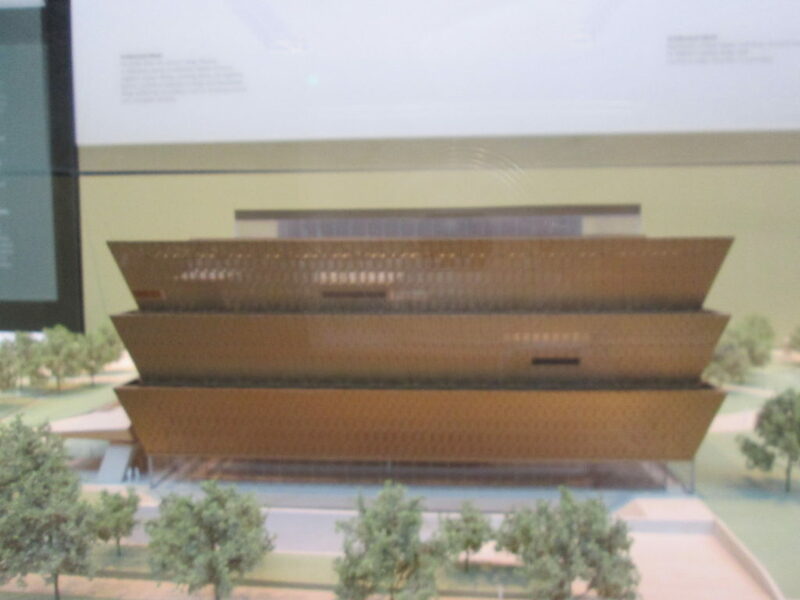 Location: the Museum of African American History and Culture is on the National Mall, 1400 Constitution Avenue NW. Hi. I work in Public Affairs Department of the museum. If you are ever in town again in want to visit the museum, I can provide you with tickets so that you can stay longer. Thank you so much! I will take you up on that. 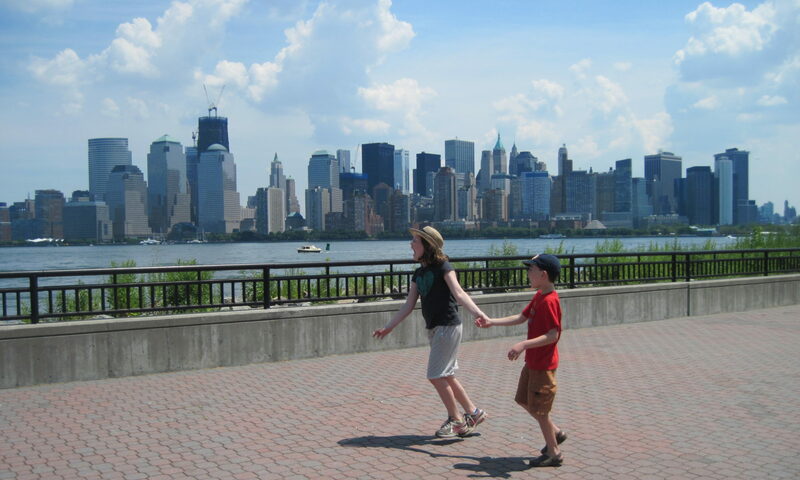 Previous PostPrevious Review: Is Come From Away Appropriate for Kids?